A twist on the traditional Hollandaise sauce perfectly cooked sous vide at 65 °C (149 °F) and aerated with an iSi Whip. The result is an extraordinary light Hollandaise sauce with an extra kick from the white wine vinegar that brightens the flavor. When preparing Hollandaise sauce, temperature control is crucial. Too much heat and the yolks will curdle or the emulsion will break. Too little heat and the emulsion will fail to form. Controlling the cooking temperature with sous vide makes it foolproof and easy to obtain consistent results every time. 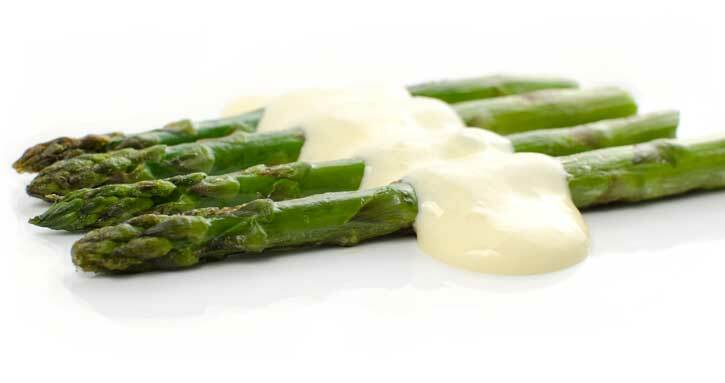 Hollandaise sauce pairs perfectly with eggs, asparagus, potatoes, steak, fish, lobster, crab and many other foods! 1- In a small pot, bring to boil the chicken stock, white wine vinegar and minced shallot. 2- Boil for 4 minutes to reduce it and extract the flavor of the shallot. 3- Strain it and reserve. 1- Blend the egg yolks with the stock reduction. 2- Place the mixture in a zip lock bag or vacuum bag, remove as much air as possible and close it. Do not use a vacuum sealer, just remove the air with your hand or use the water displacement method by submerging the open bag in a water bath and then sealing it. 3- Cook the egg mixture sous vide setting the water bath temperature at 65 °C (149 °F) for 30 minutes. 4- Thoroughly blend the cooked egg yolks with the melted butter until you obtain a smooth emulsion. 5- Season with the salt and lemon juice. 1- Pass hollandaise sauce through the iSi Funnel and Sieve directly into 1L iSi Whipper. Screw on 1 iSi cream charger and shake vigorously. Repeat process with a second charger. If using 1/2L iSi Whipper just use one charge. 2-Serve warm. The iSi Thermo Whip Plus will keep the sauce warm for up to 3 hours. If you are using the iSi Gourmet, keep it warm in a water bath until ready to serve. Do not store for more than 2 hours. 1- In a medium pot, bring water and salt to boil. 2- Fill a large bowl with water and ice to cool the asparagus after blanching. 3- Place the asparagus spears in the boiling water for 30 seconds. 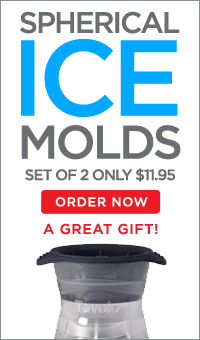 4- Remove them and immediately place them in the ice cold water for 5 minutes to stop the cooking process. 5- Give the spears a light coating of olive oil, add salt and pepper to taste, and lay them on the grill. Cook for 2-3 minutes, turning once. 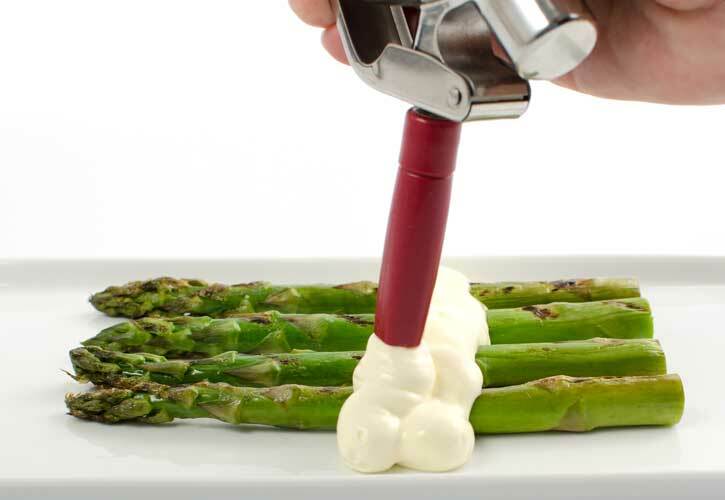 6- Place the asparagus on the plate and add the warm Hollandaise sauce with the iSi whip.